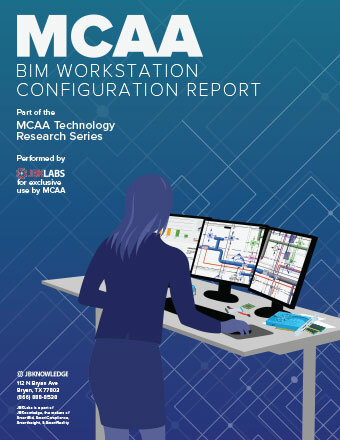 MCAA has released its latest report in its Technology Research Series, focusing on BIM Workstation Configurations. 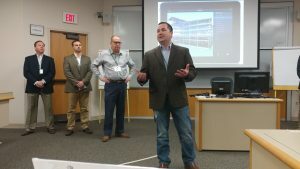 With the integration of Virtual Design and Construction (VDC) into our business, the computer workstations required to run BIM software need to be faster, stronger and more durable, but most executives do not have the computer science degree necessary to fully understand our needs. 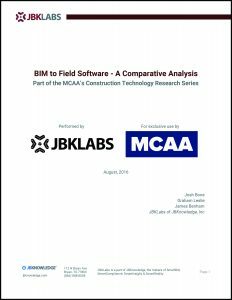 The MCAA Technology Committee teamed up with JBKnowledge to help MCAA members better understand the needs and value of BIM Workstations. 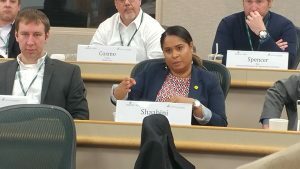 Put simply, underperforming computers cost MCAA members money. Excessive processing times not only lead to long periods of idleness, but also slow down the design, coordination and communication of projects. This reduces the productivity of some of the most highly paid workers in the company. This report guides member companies’ IT staff or fractional IT support through the process of performing benchmark tests. It also provides guidance in making hardware purchases. 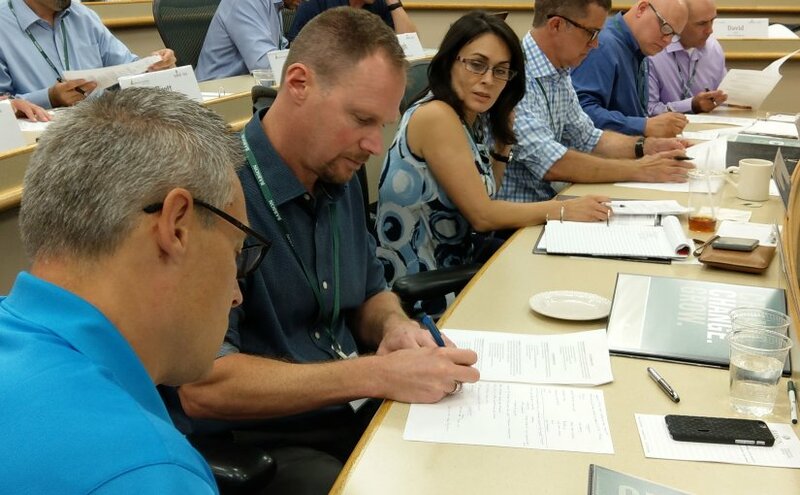 MCAA’s Advanced Institute for Project Management (AIPM) Class 15 took place last week in sunny Austin, TX. 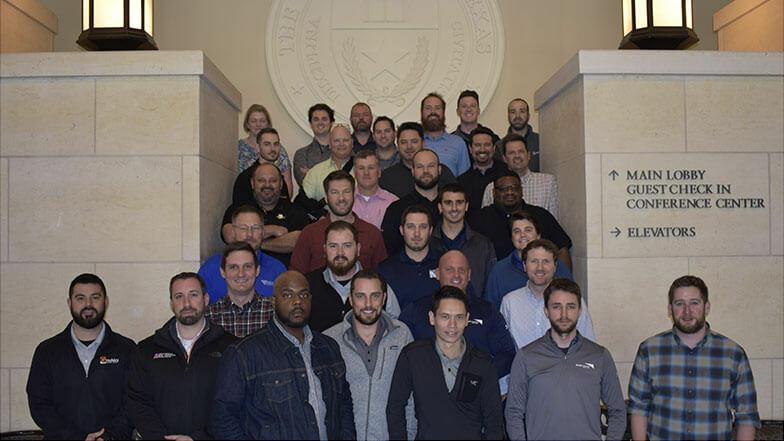 After six intensive days of studying everything from customer relationships and finance, to legal issues and operations management, to claims and how to avoid them, 32 individuals from MCAA member companies became the newest group of AIPM graduates. Twenty-two companies from across the country sent their best and brightest to AIPM 15. 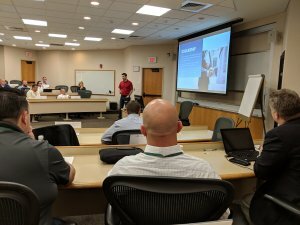 Participants brought both energy and enthusiasm to the classroom and beyond as they engaged with the industry experts, consultants, and professors who made up their faculty, as well as each with other. 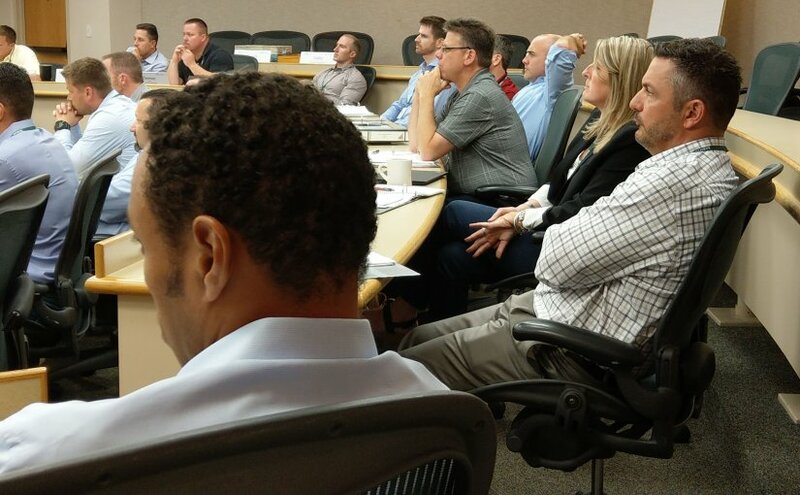 As many of our new grads observed during the program’s concluding session, the connections built with peers at AIPM are perhaps as great a benefit as the many skills and tools developed while in class. The AIPM is a once-a-year opportunity that prepares senior project managers, project executives, and operations officers for future advancement and increased responsibilities, providing them with essential senior-level project management skills. AIPM Class 16 will take place January 19-24, 2020. You can find all the details here. 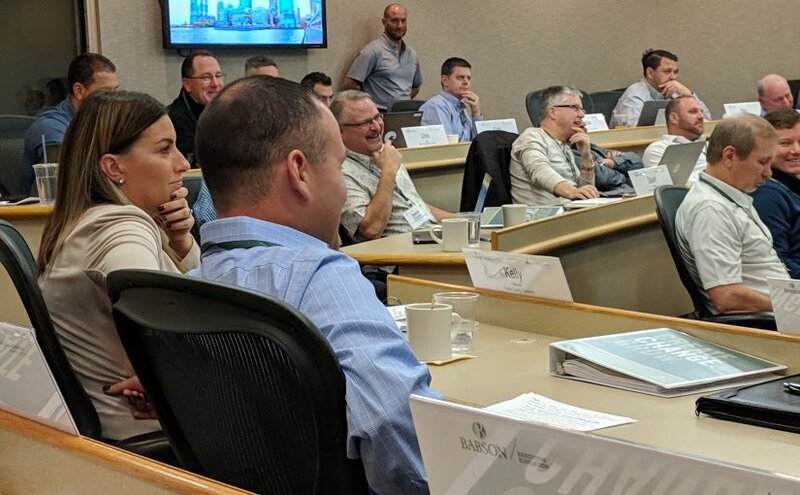 Each class of MCAA’s Advanced Leadership Institute (ALI), conducted annually at Babson College’s Executive Education Center, is an assembly of the some of smartest, most forward-thinking professionals in the mechanical contracting industry. That’s why MCAA asked Class 18 to attack one of its thorniest, most intractable issues as a final class project…the recruitment and retention of top talent. MCAA’s ALI Committee and Management Methods Committees collaborated to give ALI Class 18 an assignment that would not only attack this industry challenge, but would do so by sourcing and developing content that could be incorporated by professional writers into the new Management Methods Manual in the form of online WebBooks. By developing for the WebBook format, a wide array of valuable and previously non-starter content was now ideal for inclusion, including new or existing videos, animation, and even the development and inclusion of a software solution for comparing the costs of college vs trades education and their relative payback periods. MCAA’s Management Methods Committee will review each topic and presentation for content and suitability for further possible development. 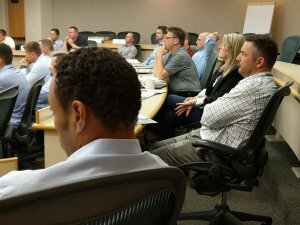 The dates for the next Advanced Leadership Institute, which will be ALI Course 19, are September 22-26 and November 10-15, 2019. Applications for Course 19 are being finalized and will be announced here soon. 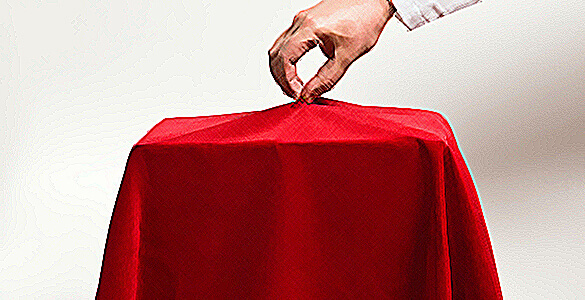 For general information about MCAA’s Advanced Leadership Institute, send your questions to ALI@mcaa.org. In my role as a Construction Technologist, I am often accused of hacking. As a result I have a great desire to better communicate what it means to “hack”, since there is a negative connotation tied to cybersecurity or even attacking with blunt force. Not that I don’t hack things—I do—but there is something outside of hacking that I consider artful use. If we’re talking about the Construction Technologist (Con Tech) we need to talk about the idea of hacking, but I think we need to separate what we are being forced to hack or modify and what we simply enhance, develop, or see potential in. The things we are enhancing or developing are really more about artful use. Artful use is seeing the greater range of usefulness in an existing tool. For example, when watching s­omeone use a paintbrush, artful use is understanding that that brush can be used to paint the wall or paint the Sistine Chapel. To paint the Sistine Chapel, you’ll likely have to hack the brush. Modifying it to your purpose by breaking it down, build it into other brushes with varying bristle lengths, and identify artists capable of seeing what to paint. I think that a big part of what it is to be a Con Tech is looking at someone painting a wall and seeing that potential artful use. I see hacking as being a little different, and it may or may not include artful use. Hacking is making what you have work and it is definitely a big part of being an effective Con Tech. I think we are always looking for the missing tools in construction. By ‘missing tools’ I mean the specialized tools that are needed by the mechanical trades but do not exist or are not present on the jobsite. An easy way to find a missing tool is to look for something that’s not being used conventionally. For example, if someone is using the screwdriver to pound a nail, the missing tool might look like a hammer, or nail gun, or adhesives. The point being that the screwdriver is a workaround, but not an artful use. We are not looking for a better potential use of a screwdriver. We are looking for an altogether missing tool. 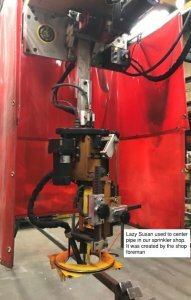 These missing tools and artful uses are often easy to see on a job site or in the Fab shop. That’s why I think Con Techs should spend a considerable amount of time observing or possibly working with the craftsmen in the field looking for missing tools, materials, methods and potential artful use. Every time I step on a job site I look at what craftsmen do with their tools with an eye to unconventional uses. Some of the best ideas have grown out of watching people use their tools in some absurd way. That can communicate louder than words what is really needed. Physically being on the jobsite is also important in finding the right people to work with. As we introduce new tools and technologies, we need to identify people that are likely to be able to use the tools and share our vision. Like the artist in the example above, the tool really is nothing without a hand to direct it and a vision to follow. When you’re on the jobsite look for those people that are using their tools in innovative ways, the people that are good at adaptation. They are surprisingly easy to find on most jobsites but are not always the foreman. Finding those people is vital because ultimately, they will become your developers and advocates. They also are the people that are going to tell you when it’s a fail. Pick people that can see what you are shooting for and that you respect enough to believe when they tell you it’s not working. I really hope as the Con Tech takes on a more conventional role in the industry we can better define and communicate to the teams we work with what we are doing, and how they can take part. In that vein, what are areas where you see the biggest disconnect when communicating what you do to the rest of your teams? And are there simple terms or ideas that would help us clean up some of the muddy thinking about what we do? 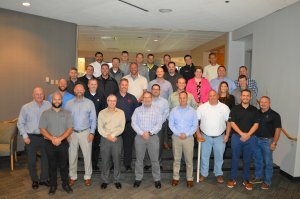 The 2018 class of MCAA’s Advanced Leadership Institute, the ALI, is fully subscribed at 36 participants. Dates for Course 18 are September 23-27 and November 4-9, 2018. A wait list for this course is being maintained. Several wait list applicants were taken for Course 17, completed in November 2017. 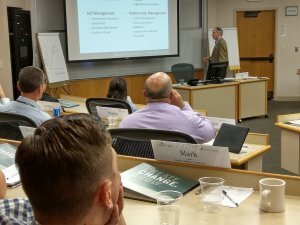 The program, which is held at the Babson College Executive Education Center in Wellesley, MA is considered one of the top executive leadership experiences provided by any member organization, anywhere. 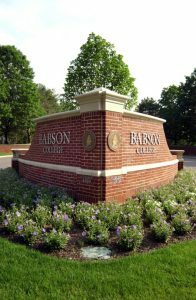 Babson is a perennial number one provider of leadership and entrepreneurship programs in the world, and the relationship that has developed between Babson and MCAA over the years is a model for executive education partners everywhere. Read more here. For an application to get on the Course 18 wait list, contact MCAA’s Dennis Langley. 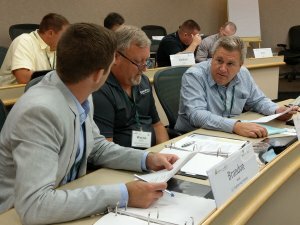 MCAA’s Advanced Leadership Institute, the ALI, is currently accepting applications for Course 18 which will run September 23-27 and November 4-9, 2018. For an application, contact MCAA’s Dennis Langley. 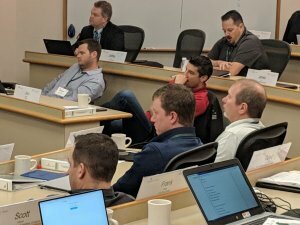 NOTE: The dates for the next Advanced Leadership Institute, which will be ALI Course 18, are September 23-27 and November 4-9, 2018. For an application, contact MCAA’s Dennis Langley. 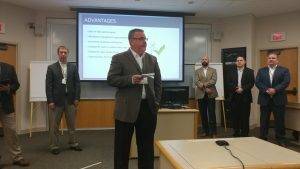 This incredibly cohesive group also attacked their final team projects, developing new or updating existing Management Methods Manual topics with the same energy, intelligence and humor they applied to everything else in Course 17. In 2015 (Course 15), MCAA’s ALI Committee decided to challenge this once-a-year assembly of some of the sharpest minds in our industry to use their final class projects to bolster and improve our industry’s preeminent body of knowledge, MCAA’s Management Methods Manual. The results continue to get better as MCAA better defines the project goals and as attendees learn more by standing on the shoulders who have graduated before them. MCAA’s Management Methods Committee will review each topic and will decide which get added immediately to the Manual and which may need a bit more development. Those accepted will make it into the next update of the Management Methods Manual. 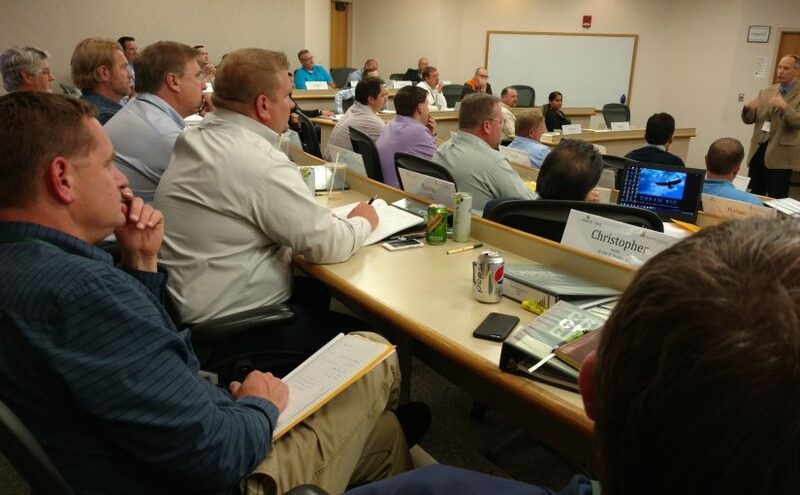 The dates for the next Advanced Leadership Institute, which will be ALI Course 18, are September 23-27 and November 4-9, 2018. For an application, contact MCAA’s Dennis Langley. Want to Structure Your Preconstruction Planning So Nothing Is Overlooked? This Guide Can Help! Achieve agreement on targeted profit. Create a well-thought-out, finalized, workable plan and schedule. Identify additional profit opportunities to be investigated and risks to be avoided. The team will document construction and administrative activities, persons responsible for each activity, a time frame during which the activity will be performed, and deadline dates. This written plan then becomes an integral part of the project’s management, planning, and execution. This flowchart complements the information in the guide. It includes critical activities for each job along with the individuals typically involved in that activity. 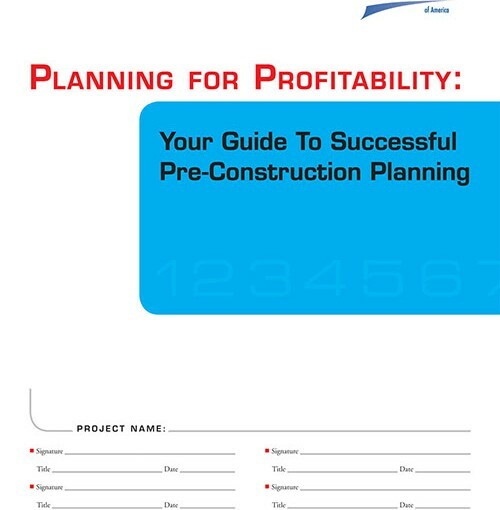 Learn how the BP Group used MCAA’s Planning for Profitability: Your Guide to Successful Preconstruction Planning as the basis for PIPES in this Management Methods Bulletin. 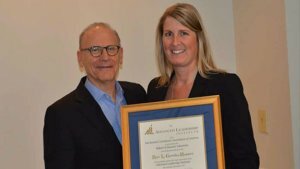 By developing high level process flows and drilling down into each core process, this E. Robert Kent Award for Management Innovation winner documented how work was performed and identified holes in staffing, processes and technology. Visit MCAA’s Resource Center for all of our valuable resources for running your business, safety and health, management methods and construction technology — available free to members with one click! Let your PMs and others who manage projects benefit from the experience and insight of their peers with MCAA’s Project Manager’s Manual. The information contained in this manual was compiled by the MCAA Project Managers Education Committee and the faculty of MCAA’s Institute for Project Management as well as mechanical contractors and individual consultants from across the country. It reflects not only the experience of men and women who have successfully managed construction projects throughout the country, but also the research of experts in our industry. 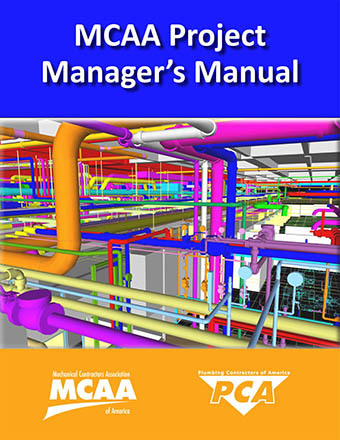 The manual addresses all aspects of mechanical industry project management, including key topics like managing change orders and claims, job cost and labor control, productivity, scheduling, safety, and much more. 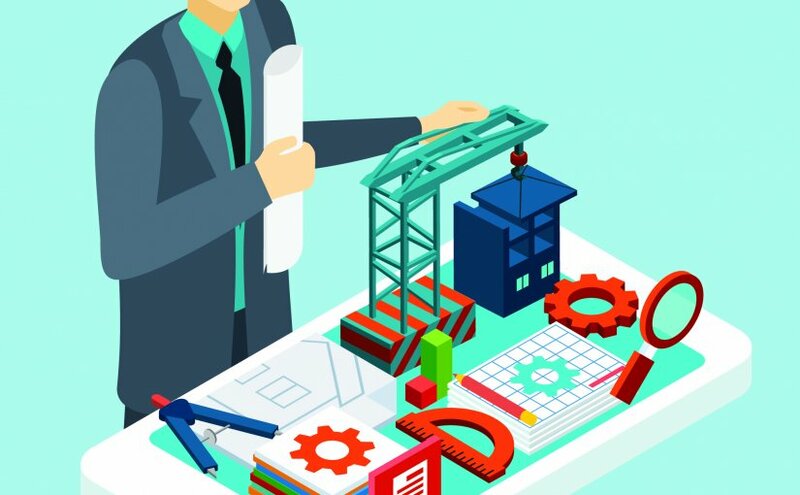 By itself, the manual is a concentrated source of general information on project management in the construction industry, offering tips for handling day‐to‐day situations and avoiding some of the most common pitfalls. When supplemented with your company’s policies and procedures and specific information about your current projects, it becomes an indispensable tool for PMs to effectively manage their responsibilities, whether they are veterans or newcomers to the job. The manual also contains forms and sample letters that can be tailored to your company’s needs, saving your PMs time. ALI Course 16 Grads Gave Back to the Industry! Beginning in 2015 (Course 15), MCAA’s ALI Committee decided to challenge this once-a-year assembly of some of the sharpest minds in our industry to use their final class projects to compete in a high stakes competition…that has only winners! When ALI teams compete to develop bulletins to add to our industry’s preeminent body of knowledge, MCAA’s Management Methods Bulletins, there simply are no losers…even if some bulletins are more immediately ready for publication than others, every effort from every team advances the state of the industry’s best practices. No losers, only winners…us! 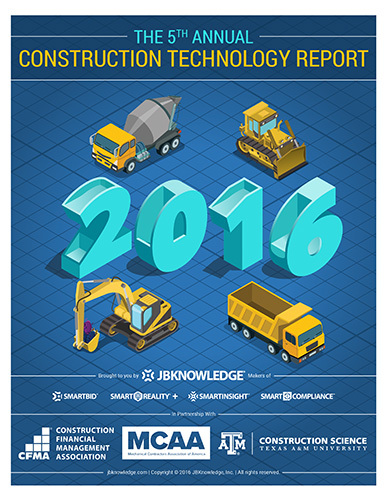 JBKnowledge, MCAA’s technology research partner, just released its fifth annual report on construction technology practices. 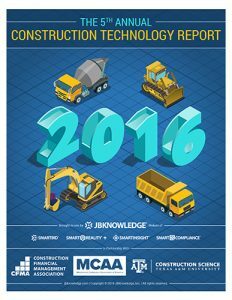 This year’s report saw a record number of responses from respondents across the construction industry, with over 700 MCAA members participating. The report includes surveys on BIM strategies, mobile integration, cloud security and ways that contractors are implementing technology practices within their company. In each section, the popularity of different software types are reported and insight into spending and management of technology initiatives are provided. As the report’s sponsor, MCAA has an added benefit of segmenting out responses from mechanical, plumbing and service contractors to add further definition on later research studies. The report’s primary author, James Benham, will be one of the presenters in San Diego for MCAA 2017. He will be joined by two other JBKnowledge experts who are presenting on ways that contractors are leveraging technology in the workplace. 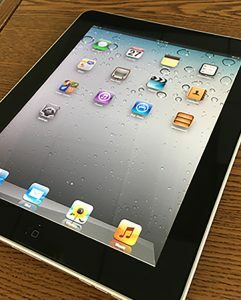 Six years ago, when I looked at my friend’s brand new first generation iPad, I was skeptical. I thought that this new tablet was going to be a big version of the iPhone that came out a year or two earlier. At that point, I still hadn’t bought into the usefulness of the iPhone that everyone was so crazy about and I was still plugging my way through a two-year contract on my existing “smart phone” from Verizon. I wasn’t about to pay a few hundred dollars to get out of my cell phone contract just to hop on this new fad. When he handed it to me to just try out, my skepticism vanished immediately. Unlike the touchscreen on my “smart phone”, it was responsive. I could touch and zoom and interact with a computer in ways that I could never do before. I could see the immediate potential. After getting my first iPad, I realized it could do about 85% of what my computer did in something that was drastically lighter and more portable. It changed the way I worked. I ditched the laptop when I traveled and always spent some time on the couch at night checking on work. I also thought about how contractors could immediately find the benefit. This new device had the potential to extend computers to the jobsite like never before. It would be able to store project files, drawings, and document conditions. Information from the office could reach the field and empower field supervisors. It just couldn’t do it yet. In 2010, most field foremen, safety supervisors, and project managers were heavily reliant on cell phones and most didn’t have a smart phone yet. Some were still annoying their coworkers and family with the infamous Nextel chirp. It took some time for the software to catch up with the hardware potential of tablets, but we are far beyond that point now. Six years later, mobile phones are more or less texting devices while tablets are able to do so much more. In a recently released research study, the research team from JB Knowledge took an extensive look at the software that has is connecting the office to the field. They evaluated over 20 mobile tools that contractors are already using and put simply, the software that they looked at is doing things that was unimaginable six years ago. It is also changing the skillset and the mindset of field personnel. For many foremen, getting a tablet is almost considered a perk. It is not anywhere near a “buck and a truck”, but more like a prestige item. This is due to the design and positive perception created around the product. A lot of this has to do with Apple’s marketing and design efforts. People begin loving their tablets even before they know how to use them. What most field supervisors don’t realize is that a new tablet should be thought of as the latest tool. It is a phone and computer all wrapped up in one with more features and potential than any power tool. Tablets hide the conceit of productivity in the glitz and polish of a new toy. When fully enabled, field supervisors can use tablets in ways that they could never use their phones. Some of the software evaluated in the BIM to Field Research report unlocks the potential of mobile devices in ways that were never thought of six years ago with the first tablet came out. There are programs that can overlay BIM designs in an augmented reality. Programs can track work in the fab shop. 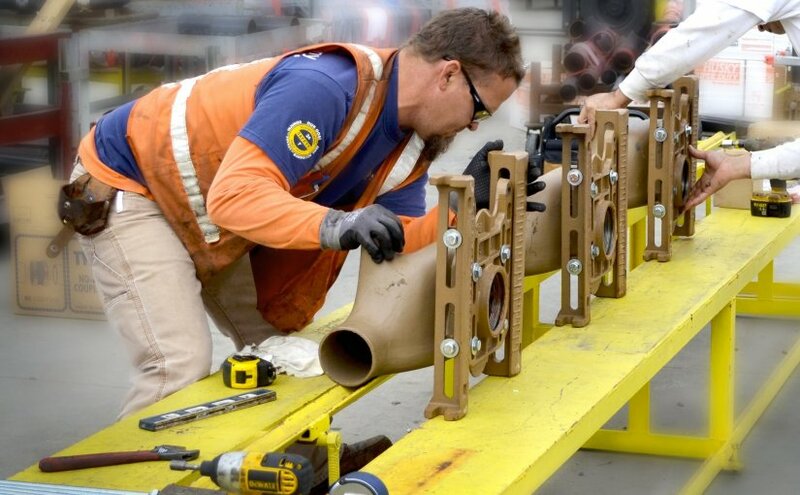 Apps that can let field foremen reshuffle the fabrication queue. Software that can get the latest designs, revisions, RFI’s, specs, and labor hours to the field and back so that design and communication is two-ways without picking up a phone. The days of the mobile phone on the jobsite are not over yet, but what is becoming clear is that their importance is diminishing. 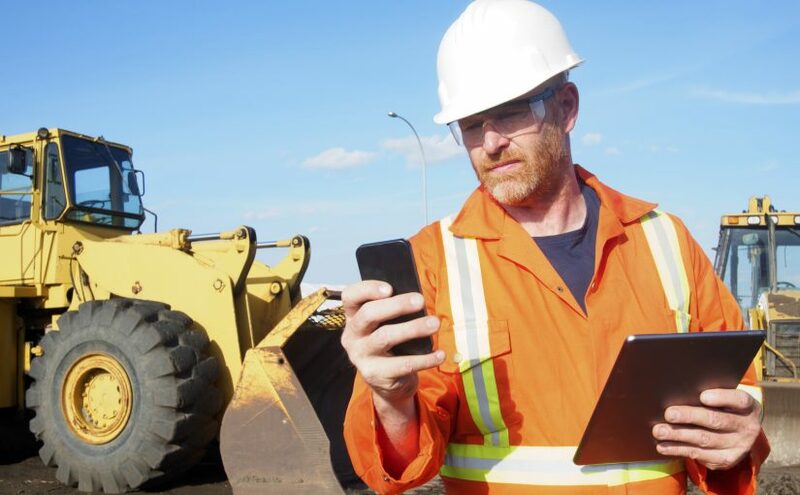 Today, if contractors had to choose between providing either mobile phones or tablets to their field supervisors, the choice is not as clear-cut as it used to be. One argument is that nobody would bring his or her personal tablet to the job site while everyone would bring their personal phone. The other main argument is that making the investment in tablets has greater value right now. With a six-month payback period, some contractors are choosing to deploy tablets while subsidizing personal phones. They are making that choice because tablets can increase their productivity in ways that mobile phones just can’t. In a few years, you might stop seeing phones on construction sites at all. R.I.P. chirp. 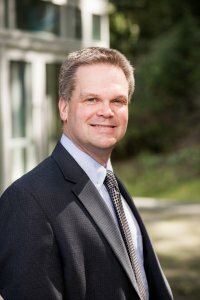 Sean McGuire is the Director of Construction Technology at the Mechanical Contractors Association of America. 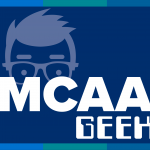 Follow him on twitter at @mcaageek for regular tech updates. Please check out the Research Report and our recorded webinar, free as a benefit of MCAA/MSCA membership. Companion webinar featuring Josh Bone, lead author of the report with JB Knowledge. 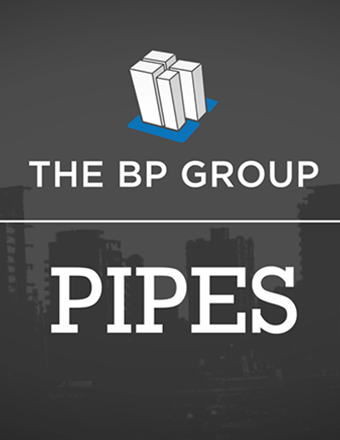 The winner of the 2015 E. Robert Kent Award for Management Innovation – PIPES (Process Information Portal Enabling Success) – developed by The BP Group (Glendale, N.Y.) and ATX Advisory Services – is now available for MCAA members. PIPES is an innovative tool that allows a company to easily view the entire workflow of its business while drilling into specific processes to see each step in the flow, the resources involved, the systems used, business policies, systems, procedures and links to forms, reports and other business intelligence used during the course of business. It is essentially an online “how to” for the business with links into all its operations’ details for employees to use. Built on the foundation of MCAA’s “Planning for Profitability – Step by Step,” PIPES is a template that MCAA members may use to map their business operations. It uses Microsoft® software products, including VISIO, is available in two forms to accommodate all versions of the software and comes with a Users’ Guide to assist with its installation. PIPES is available to MCAA members at no charge as a benefit of membership. Click on the link below to request your copy. 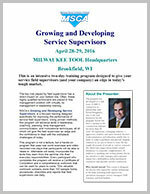 MSCA’s Growing and Developing Service Supervisors program (April 28-29, Brookfield, WI) will help supervisors understand how to coach, mentor, manage, and motivate their technicians. Each attendee will receive a comprehensive manual containing more than 100 forms and worksheets to use for day-to-day responsibilities in areas such as safety, operations, training, tools, and vehicles. Sign-up for this program at the link below.